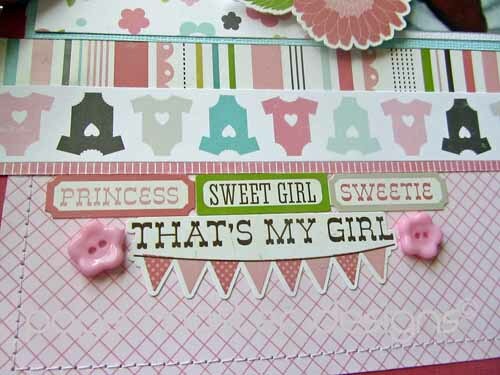 Welcome to the SP & Company April Blog Hop! Not only do we have an brand new Design Team sharing creations, we have a fabulous Guest Designer, Leah L'Orange, showcasing her creations using SP & Company product all month long. Today we are showing off our brand new releases. We've got so many great, new supplies to add to your crafty fun. Last month we introduced our new Die Tools, and we have even more Die Tools coming out this month! And don't forget about the new SP Storage Binder System to help with organization of dies and stamps. This month, we also have amazing new artist, joining the SP family - Gill Roberts! 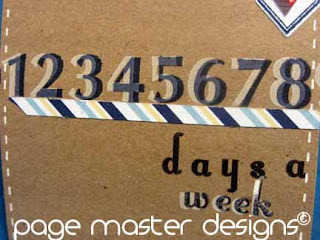 We will be releasing lots of new Gill Roberts Collection stamp sets today, along with a few coordinating dies. 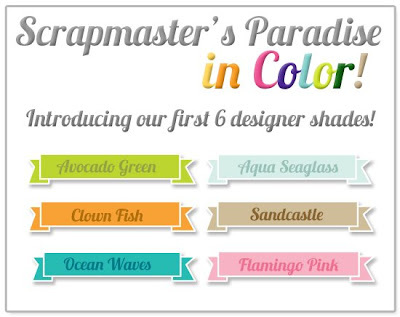 Scrapmaster's Paradise is now IN COLOR with the release of six new SP exclusive colors. 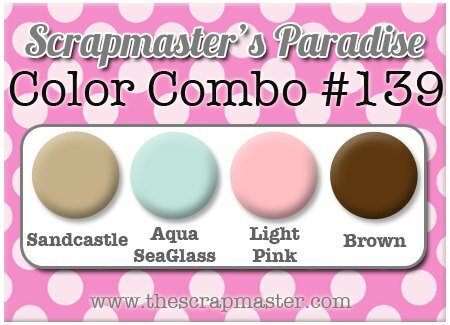 Our exclusive color line now includes button mixtures and coordinating premium chalk ink pads. The ink pads will begin shipping mid-month, but the buttons are available starting right now in the SP & Company Store. What's great about our new button mixtures is they come in adorable metal tins for easy storage and organization! This month's kit included Echo Park's Bundle of Joy Boy set, they sold out fast so I took the girl set. I love this kit!!! You can't beat the price either. A grouping of the stickers that come in the the 12x12 Kit. I absolutely LOVE these numbers. They are the PERFECT shape and size. The letters are very petite which I love too. I stamped them in white and then again in navy. I added a quick strip of My Mind's Eye paper. 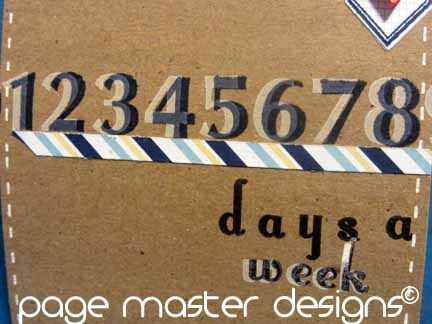 Here's a close-up of those delicious numbers. Now run, don't walk to see all the other fabulous projects. If at anytime you get lost just head over to Scrapmaster's Paradise for the list. Thanks for sharing! Can't wait to get my monthly kit and take part in the color combo challenge! Love, love, love your baby girl scrapbook page! Adorable layout and I can't wait to get my kit. I am loving these two banner sets and the dies are GREAT and save so much time!!! Great Lay out. I love the way you used the typset die alphabet. Your layout is beyond adorable, love it! 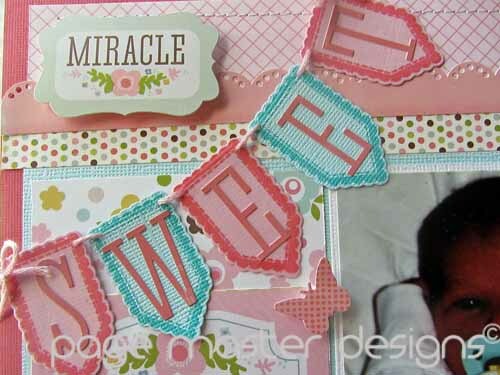 Michelle, that layout is just darling and I LOVE that card!!! 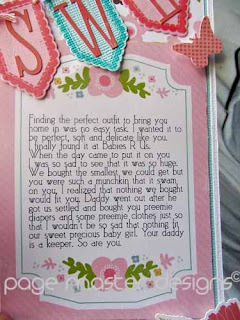 Oh how precious!! I love (other than the BABY!) the banner, owl, everything. You picked some sweet papers for your layout. Great job. What a magnificent layout! 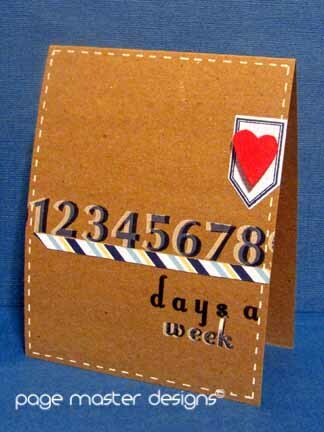 And who doesn't love simple cards? Michelle, you are such a great addition to our DT. I LOVE your LO. Great colors. Cute pic too! Beautiful layout! I like your color selections.